WHAT IS ONLINE STUDY LIKE? View this video to get an introduction to the class from a student perspective. How is this class different than a classroom? 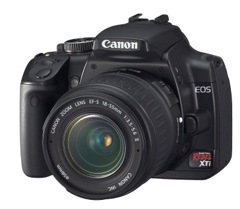 CLASS.SCPHOTO.COM is a web based classroom for learning the basics of Digital Photography. Most SCPHOTO courses are designed to fit the requirements of private, public and homeschool programs in terms of content standards and time requirements. In this class tudents first view resource materials and lessons Online and then put that lesson to work in either an assignment, quiz, journal or shared discussions in a forum. Assignments are uploaded to the web and graded Online by the teacher at different intervals during the semester. Quizzes are graded Online for instant feedback. Independent study students working with Keith Wills have one-to-one contact for evaluation of work as well as suggestions on ways to advance their knowledge and practice of photography. Almost like a private tutor you have an opportunity to grow as much as you wish with your photography skills in this class. The cost for the Independent Study class is $80 for a course that is equivalent to a full year class or 135 hours of study in most schools. Students should contact their local school or home school adviser to see if credits can be accepted for this class before enrolling. Basic Digital Photography - This is the full curriculum in photography taught for 28 years at Santa Cruz High School updated for Digital Photography techniques. The Basic class is a set of lessons, assignments, tests and discussions that introduce students to basic skills such as composition and design and technical control of an image using exposure, camera controls and editing software. 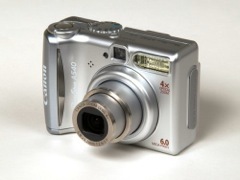 Students in this class may use any digital camera and most any editing software to participate. Students not in a group or school will work with Mr. Wills as their instructor at a cost of $80 for the full course. Schools may provide their own instructor and use the resources and curriculum and online submission tools at a reduced price of $20. Digital Textbook - This is the "green alternative" to a paper textbook. Updated annually this is the same as the Basic Digital Photography class without the online submission of assignments and discussions. This eText contains all of the content and assignments from ALL of our courses PLUS a bonus section on Analog or Wet Photography for those school still working with a darkroom. Priced as a single copy at $25 per year or $10 per student in groups of 5 or more this is a great alternative to an expensive textbook. The eText is light weight because it is in the "cloud" and easily updated when new technology is available. Students enrolled in either of the other courses do NOT need to purchase this as it is a copy of the material in their courses they are enrolled in. Intermediate Photography - This is a more advanced course either for a beginner or students with some previous photo experience. The class is 100 hours of instruction and assignments in photo design, exposure control, lighting, flash and camera handling challenges plus photo editing work with Photoshop Elements or CS. This class requires students to own a DSLR or equivalent technology with manual controls plus a copy of Photoshop Elements or Lightroom. Students who have taken the Basic class may take this one next as a stepping stone to advanced study in college. Students will be creating a portfolio as part of this class which will be necessary for advanced placement in most colleges. This class is a bargain at $80 or at $20 per student when enrolling a group or school and providing your own teacher.